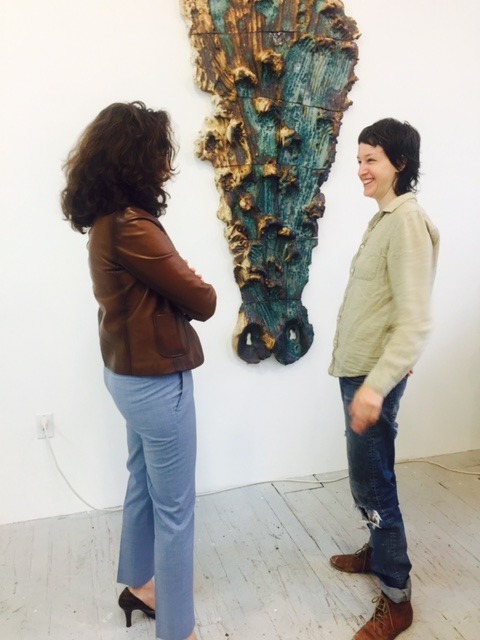 Wendy recently visited sculptor Brie Ruais at her Sunset Park studio to discuss her forthcoming presentation with Nicole Klagsbrun at NADA, New York. Brie’s ceramic sculptures are evidence of her performative art-making approach. She follows a set of instructions for her hands and feet and uses her body weight to push the clay into organic shapes. Made on the studio floor, the works bear hallmarks of her fingers, fists, and feet. Brie cuts the unfired clay into grids that are placed in a kiln, where alchemy takes effect. The resulting glazed sculpture, simply nailed to the wall, is a three-dimensional object that behaves in a two-dimensional way. 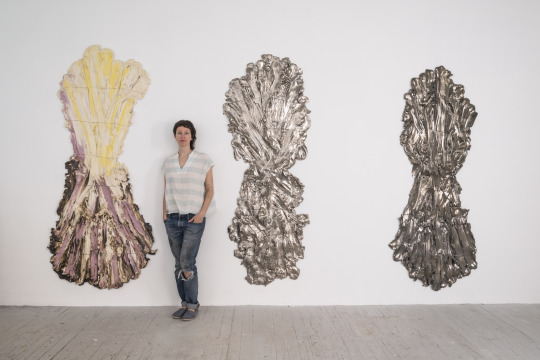 The visual tension created by the knife-cut grid, the organic clay, the seductive glaze, and the evidence of human touch makes for highly impactful works that take their lineage alongside female sculpture pioneers, such as Lynda Benglis. 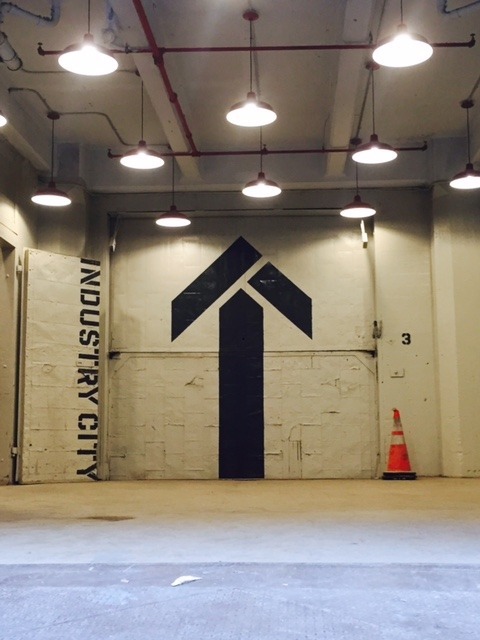 Entrance to Brie Ruais’s studio in Industry City, Sunset Park, Brooklyn. Brie Ruais and Wendy discussing her latest work, made at Anderson Ranch, Aspen.